My general rule of thumb is that you want a rod that you can throw lures on all day if you had too. If the rod is too heavy you will suffer from fatigue and you won’t gain the confidence you need in your equipment to do the job. Once you’ve found a particular rod manufacture that you are comfortable with for a certain technique, what I recommend is to stick with that rod manufacture or brand of rods for all other techniques you are trying to learn. The rods will all feel the same, and the adjustment period is a lot smaller than it would be if you switch to a completely different manufactures rod. No one rod can do everything, so if you really want to take your bass fishing to the next level you will need to purchase rods for specific techniques (rod for crankbaits, a rod for just spinnerbaits, a rod for plastic worm fishing, etc.). The actions for different techniques will vary, so having technique specific rods will help boost your confidence dramatically. This is just a generic guide, but it will help you eliminate many of the options and be more specific with your purchase. Each rod company’s actions feel different that’s why I say it really comes down to your own judgment of what’s comfortable for you. Price is always a factor in purchases and with rods there is no difference, but I must stress this, you really will get what you pay for!!! If you’re a person that is a beginner or doesn’t fish much then get something that’s not so expensive. However, in my opinion, in order to gain the confidence in your equipment and yourself you need to spend the extra $$$ & purchase the better equipment or at least the best equipment you can afford. It will definitely make your fishing so much easier. The #1 thing I have noticed that get anglers frustrated, particularly the novice fisherman, is that their equipment is totally wrong for the technique that their fishing. It’s just like a golfer, you can’t play golf with just one club, there’s a club for each situation & fishing is no different. So spending the extra $$ and investing in better rods will help you be more successful in the end. If you apply these tips I feel it will help you make a wiser rod purchase in the future! Choosing the right equipment doesn’t have to be that complicated. I will give you as much information on the three basic setups I think will give you a good start without costing you a fortune. I would suggest going with two bait casters and one spinning rig. 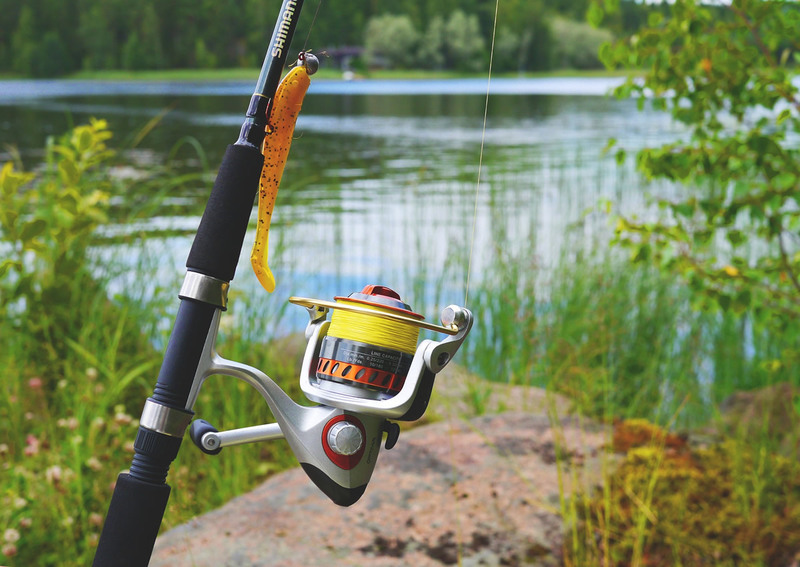 In the past I would recommend going to a dedicated sporting goods store to get what you need, but now most retail stores are carrying a good selection of quality rods and reels. In my area, Walmart is now carrying brands like Diawa, Abu Garcia, Falcon, Wright and McGill and Quantum. To the marine or auto mechanic, his tools are his lifeline. Without using quality tools to get the job done, his efforts become futile. In order to succeed in business, he has to depend on those tools to hold up to the pressure of daily, relentless use. For a professional bass angler, his fishing rods are the tools by which he makes his living. They too, must be dependable and hold up to the rigors of competitive fishing at the professional level.